Over two thirds of the state Vermont voted to repeal Prohibition on September 1, 1933. That vote was ratified on September 26th. Given its status as a border state, Vermont had a colorful experience with Prohibition, characterized by both smuggling and violence. A 1927 newspaper article told of the various ways in which bootleggers would smuggle liquor across the Vermont-Canada border. 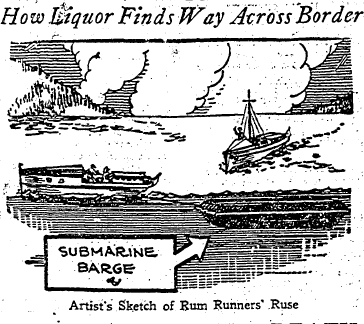 On land, “smokescreens and...secret storage compartments” were used, and submarine barges were common on Lake Champlain. In 1924 a senator from Vermont was accidentally shot by a Prohibition agent. He apparently had bouts of paralysis as a result of the shooting.